Expand your 5-piece Pulse kit to an 8-piece double bass monster. For the ultimate rock sound, nothing comes close to a double-bass kit. 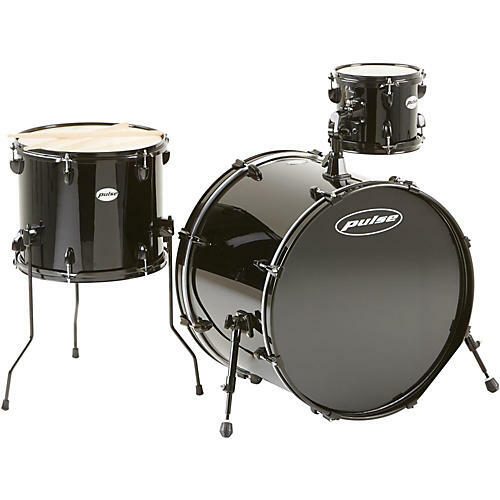 This Pulse 4000 3-Piece Shell Pack features 8-ply poplar shells and 45-degree bearing edges for a tight, fast sound. Add this 3-piece expansion pack to your classic 5-piece setup and take a first step into extreme metal play. Steel drum hardware offers a durable framework for an early drummer, while triple-flanged die-cast hoops will endure those rehearsed grooves and rudiments. Bass drum(s): 22" x 16"